The Panasonic G85. My choice for an all around fun camera under $1,000. Austin, Texas. I'm always interested in new gear that solves problems in different ways. The latest cameras from Olympus, Panasonic and Sony all have fun stuff in common; stuff that wasn't all readily available in a single camera body until recently. Those features include the combination of really good, 4K video capability, five axis image stabilization and good performance. I was narrowing in on the Sony a6500 as a good addition to the cameras I already own; it would provide a higher level of image stabilization and state of the art 4K video, but I wanted to shop around and see what else was available. Two things about the Sony a6500 gave me reason to drag my feet: that camera has a reputation for being prone to overheating when operating in 4K video, and a large part of my desire to own the camera was to take advantage of the high quality video. The second thing that dampened my desire was the nearly universal assessment that the while the 4K video is nearly perfect the 1080p (HD) video is soft and lacks detail; even compared to a similar camera (the a6000) that is two generations older. Not every project needs 4K video, many documentary exercises are better solved with HD. I looked at the Olympus EM-1.2 but I wasn't ready to spend $2,000 on a secondary camera that didn't fit into my collection in a rational way (not saying that rationality holds much purchase in my office...). 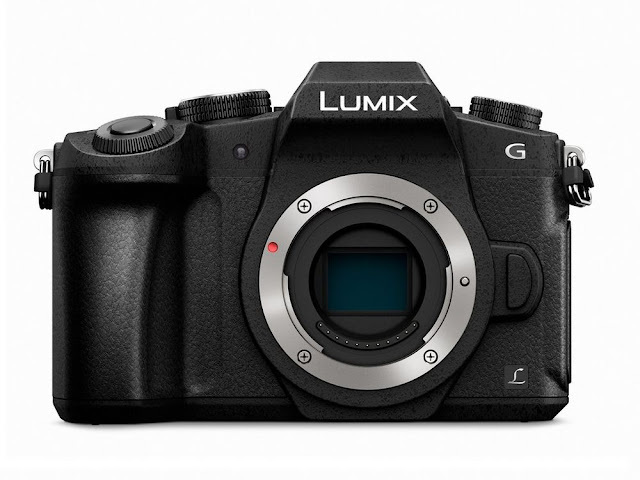 The first two cameras led me, in comparative reviews, to a camera that I must say might be the Goldilocks camera of the category, the Panasonic G85. While the G85 lacks the resolution of the Olympus and Sony candidates (it is only 16 megapixels) it does get high marks for both its 4K performance and the prowess of its five axis image stabilization. With several current lenses the Panasonic is also able to provide even more enhanced I.S. performance by making use of the lens I.S. in conjunction (and in addition to) the I.S. in the body. Additionally, the G85 also scores well for its basic, 1080p, HD video performance. While the Sony a6500 is about $1400 without a lens and the Olympus is nearly $2000 without a lens, the Panasonic G85 can be purchased new with a fairly nice kit lens; the 12-60mm f3.5 to f5.6. A nice 24-120 equivalent zoom. In the kit format the bundle of camera and lens is right at $1,000. With a current rebate in place the total price drops to $899. Considering that the lens currently sells for about $500 on Amazon the price of the kit, with rebate, essentially means that one is getting a really good camera body for about $400. Not a bad deal. Of course, it remains to be seen just how good the lens is. Various reviews range from "great for the range and price" to "slightly soft." But, as usual, the only way to really know what a piece of gear can do it so use it in your own processes and weigh your own results. I bought this camera and lens for two fairly specific reasons. First, I wanted a camera and lens system that I could use to shoot very high quality, hand-held, stabilized 4K video. I'll test extensively but I think this is a good combination. It would also be the small system that I'll attach to a cart for dolly work, or use on a small, portable slider as a supplement to my primary camera. My second reason for giving the camera a fair trial is that after selling off the GH4s, well over a year ago, I've missed having a good platform for my collection of ancient Pen FT lenses. The 40mm f1.4 and the 60mm f1.5 in particular have been calling out to me from the confines of the equipment cart. A year ago I would have passed on this camera simply because it lacks a headphone jack. That would have disqualified it in my mind. But once I figured out that I could hook an HDMI monitor to a camera and have a great monitoring source for audio via the monitor I took that argument off the table. The combination of the fz2500 and the G85 should make a good, low profile team of features and performance for those times when I want to travel light and still come home with great stuff. It's an alternative to both the full frame A7 systems and the one inch RX10 systems. A different choice for different uses. One wonderful note is that the G85 uses the same batteries as the fz2500. No new batteries needed at this juncture. You can buy one at Amazon with the link below or you can get in touch with Precision-Camera.com and you can order one with a rebate (yes, USA warranty) for about $100 less.